Hi, and thank you for your interest in joining Garrigus Real Estate! We started this company from the ground up. We originally hail from the corporate world of Advertising, Marketing, and Media Broadcasting. Our background serves us today in marketing Garrigus Real Estate and the Agents On-Demand that enjoy working with us. Like many agents, we first started our real estate careers working for a big "brick and mortar" brokerage. At the time, we didn't realize how expensive that was! But it was very expensive. We immediately gave ourselves a raise when we went to work for an e-brokerage company. We made more money, but the e-brokerage model didn't provide much support, let alone help marketing ourselves and help getting business! That's when we decided to create a hybrid of both real estate brokerage models- providing full broker support, while keeping the agent's money where it belongs: in the agent's pocket! Obviously, we aren't interested in giving away our trade secrets to other brokerages, but if you're interested in exactly what we can offer, call or contact us and let's discuss how we can help you not just survive, but thrive! ALL CONVERSATIONS ARE HIGHLY CONFIDENTIAL! We will never, ever blow your cover with your current broker!!! Whether you decide to work with us, OR NOT! That is a promise, and a personal guarantee. 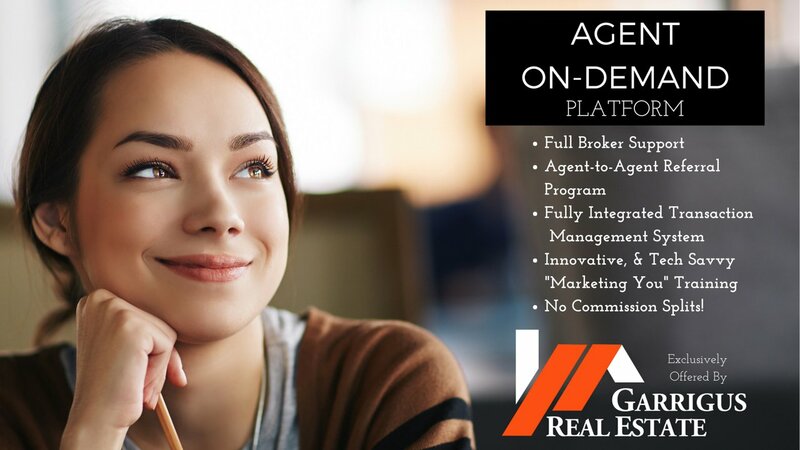 We believe in preserving our reputation and our relationships with the agents and brokers we work with every single day. Or click the Contact Us button below and we will get back to you as soon as possible!